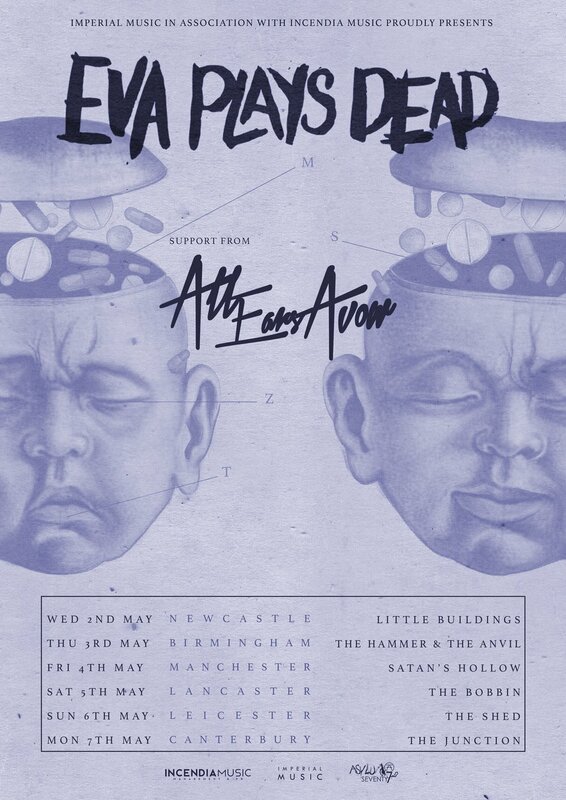 UK rockers EVA PLAYS DEAD have announced an EP tour in May to celebrate their forthcoming release The Fix, out on 27th April 2018 via Playing Dead Records. Support comes from All Ears Avow. The EP is supported by a PledgeMusic campaign which has already hit 63%. Sticking to their DIY roots, the band have also set up Playing Dead Records to release the hugely personal EP in order to maintain full creative control. Raucous, raw, and topped off with frontwoman Tiggy’s thunderous vocals, The Fix is a reinvention of classic rock at its best. Listen for the peaks of track four, ‘Bones’, or the heady anger of opener ‘Spin’ – this is an irresistible no-holds-barred five-track barrage, an angrier release than its predecessor Sounds of the Written Word. EVA PLAYS DEAD are a young band with an already impressive history: notable supports include SOiL, New Year’s Day, Alien Ant Farm, Skindred, Devilskin and more, and the band have garnered the attention of Kerrang!, Planet Rock Radio and TeamRock amongst others.